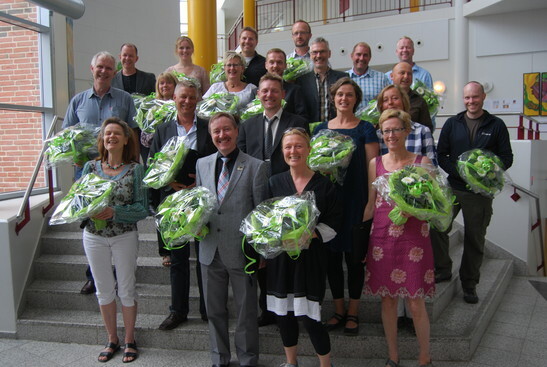 Since December 5th, I’ve been running an in-world PD-class for students from The Master’s Program on ICT and Learning (MIL) at Aalborg University. 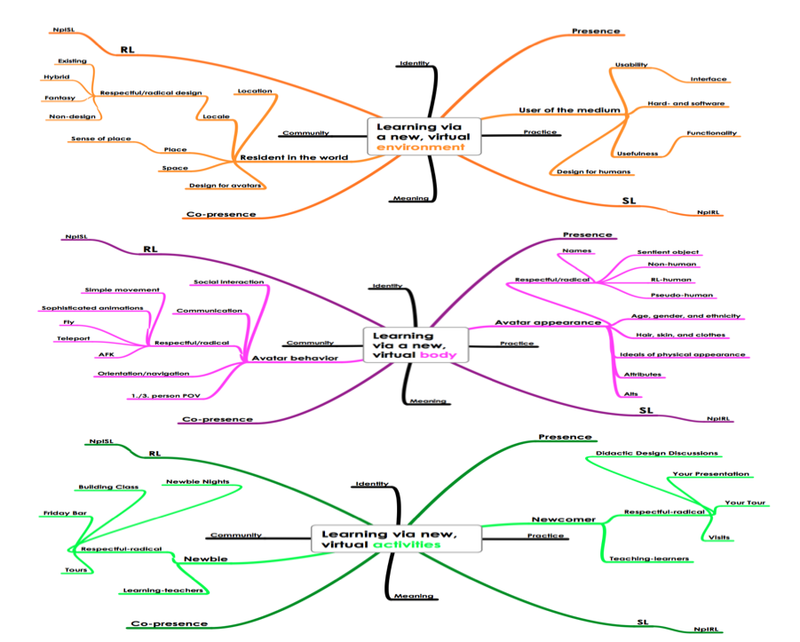 It is my fifth course of this kind for the MIL Program, but this time around there are some significant changes. 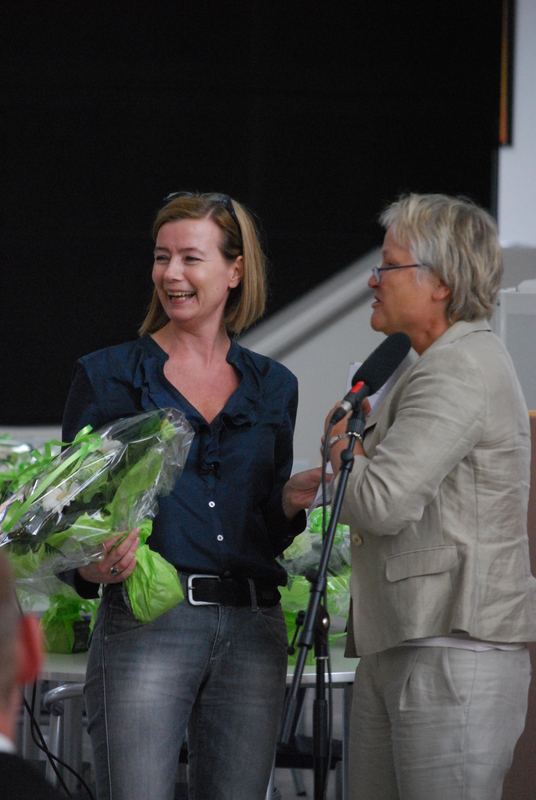 First of all, I have the great pleasure of running the course with my friend and kindred spirit, Inge Qunhua – a very talented Danish educator and in-world designer. Secondly, I will not be using this course for my PhD, but as a researcher I have of course set some research goals, and in this case I have been investigating the use of different classroom settings. 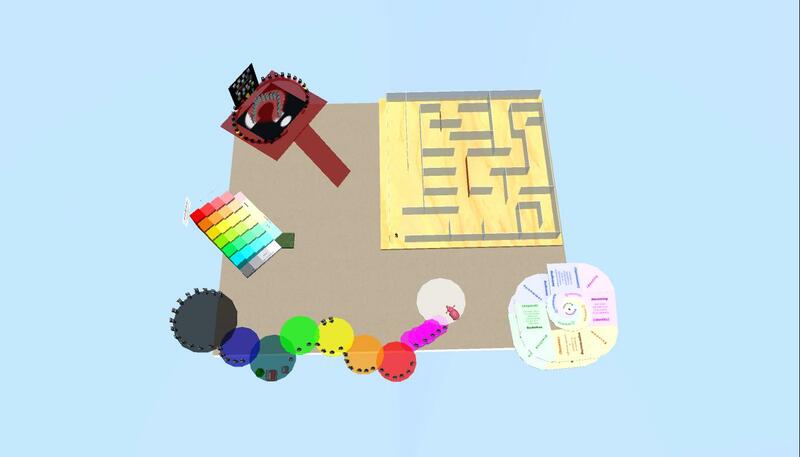 As part of this, I have just finished a build I call “The Identity Maze” that I will be using in a forthcoming in-world class. In my PhD-project, I have three analytical units; people, places, and practices, and the maze is based on some of the key findings regarding the people unit. 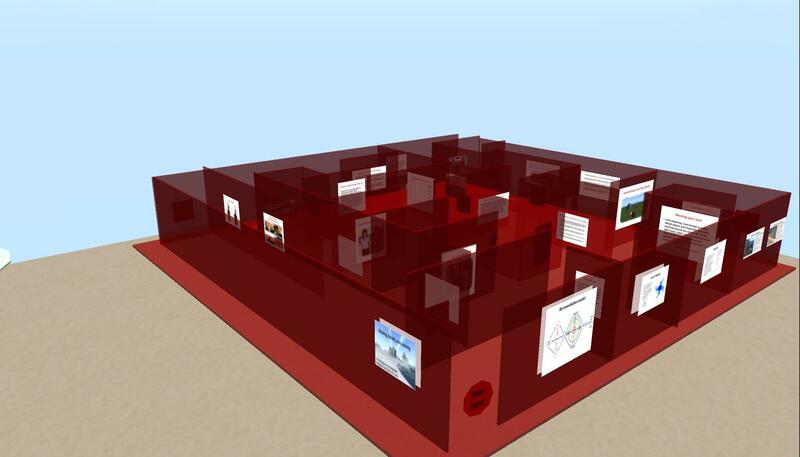 In this sense, the maze is meant to showcase some findings consisting of impressions from the students that participated in my PhD-work from 2007-2010 combined with relevant theoretical input that I also refer to in my PhD. 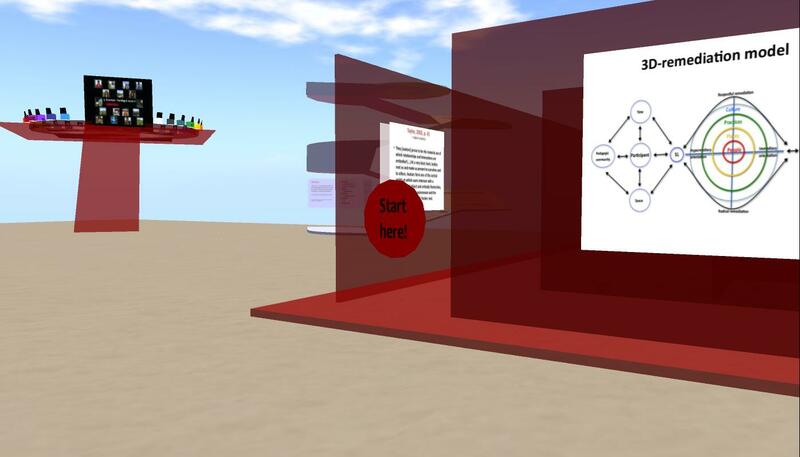 The theoretical foundations of my PhD-work is showcased on the sides of the maze. 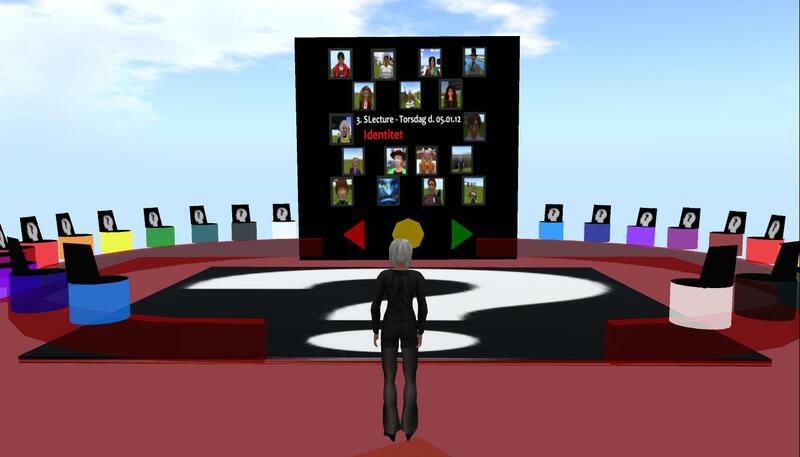 The people unit deals with the avatar phenomenon, with what it means to learn through a virtual 3D body, and how this affects the identity of the learners. 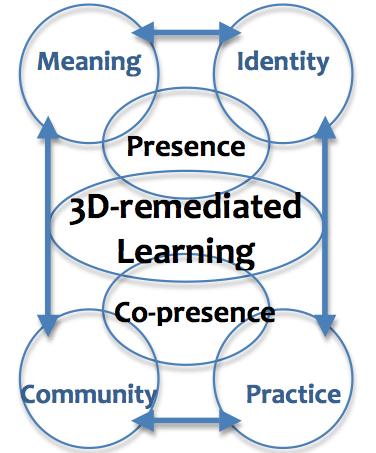 In my PhD, I use a combination of theories ranging from learning theory (primarily Wenger, 1998), media theory (primarily Bolter & Grusin, 1999) and theories from the field of tele-presence (primarily Schroeder, 2010 and the MIT journal on Presence). 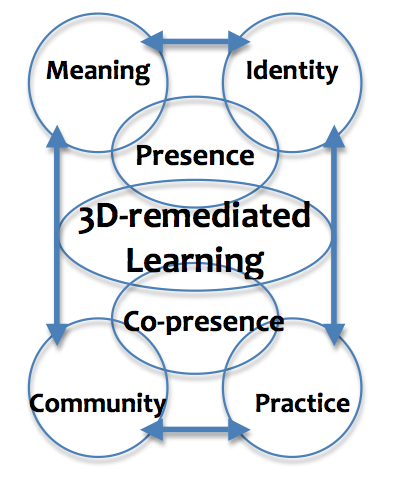 In Wenger’s Social Theory on Learning, Identity plays an important role in the learning process – learning is basically an ongoing identity process, a process of becoming. 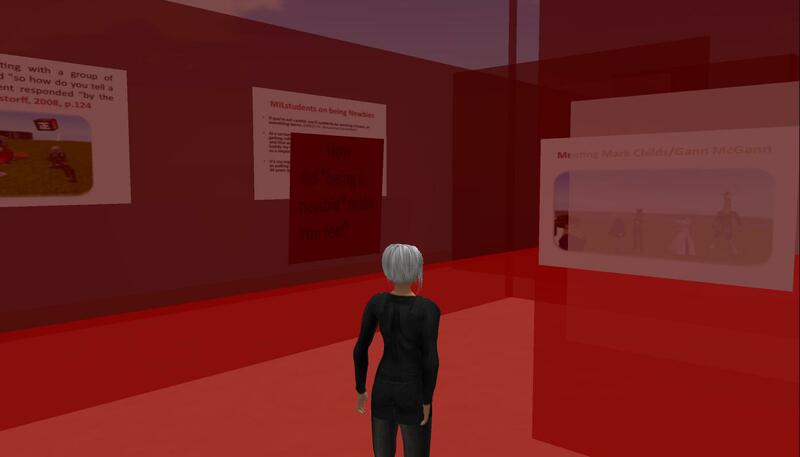 Since the beginning of my PhD-work back in 2007, it has been evident that a medium such as SL challenges the learners’ identities in a manner I’ve never seen in more traditional 2D Virtual Learning Environments (VLEs), and so it makes perfect sense to focus on Identity when learning in and about 3D Virtual Worlds. 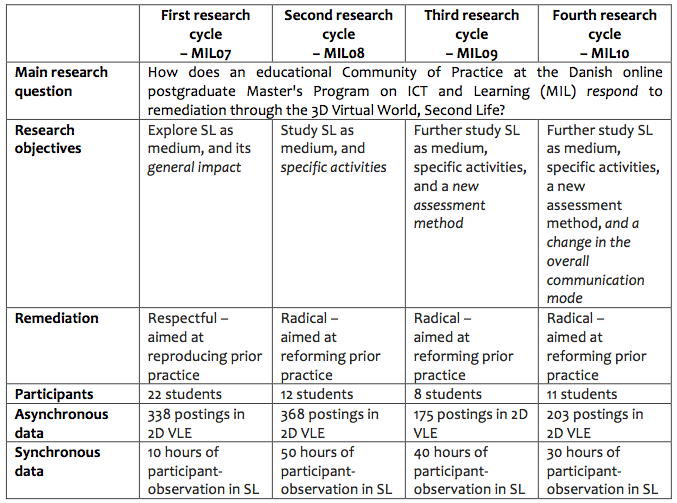 Some important aspects of the 3D virtual body experience. 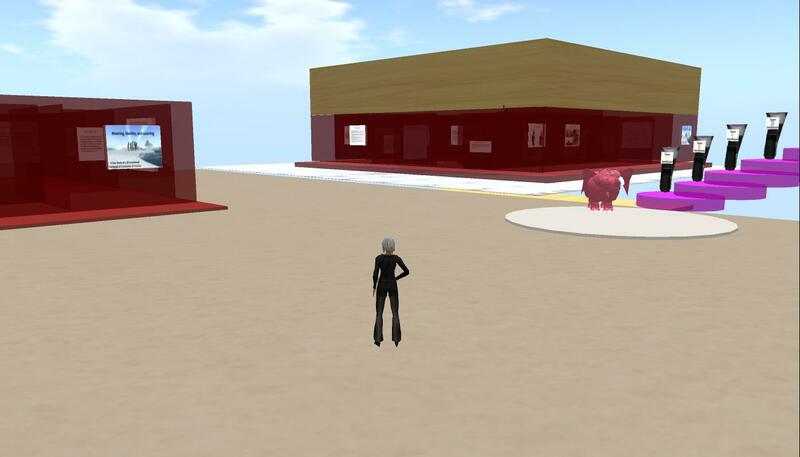 I’m definitely an amateur when it comes to building in SL, but I do build from time to time, and the process of visualizing/materializing your thoughts and ideas, is really what sets SL apart from other VLEs. It can be fun, engaging, frustrating (where’s the undo button!? ;-), and sometimes very rewarding. 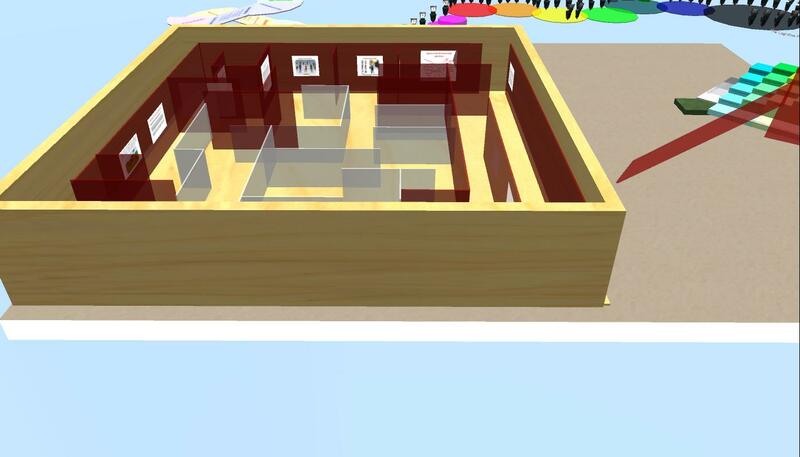 The pictures below show the process of building the maze. 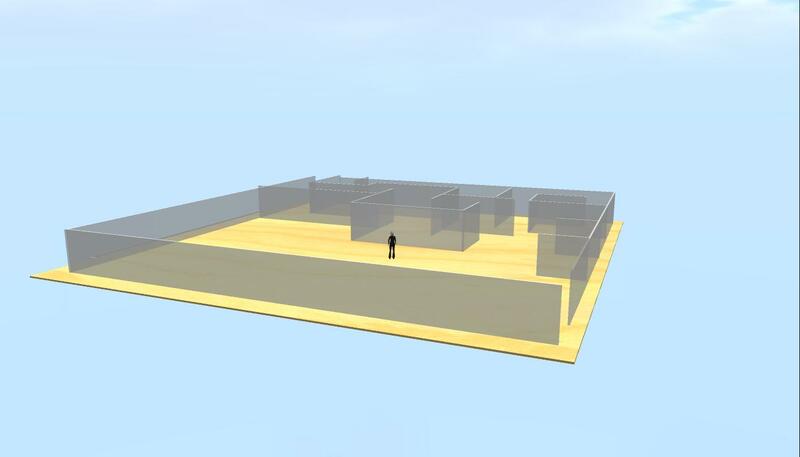 lnge lets me have a small sky-sandbox that I use to experiment, and this was where I started building the maze. I did create a paper-draft with measurements of the maze, but as usual when it comes to creative work, the work itself tends to rule on its own, and standing in the build, feeling it so to speak, forced me to reconsider parts of the maze. Once again, I was reminded that what works in theory, doesn’t necessarily work in practice! 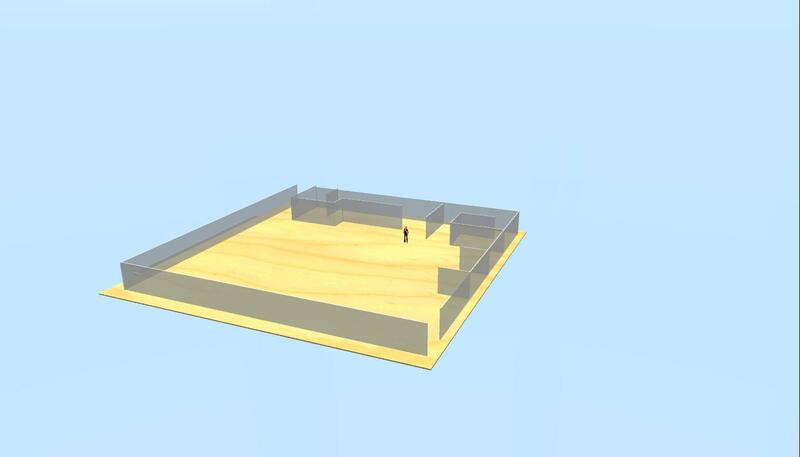 When the foundation of the maze was done, I moved it to the common sandbox, we use for the course. Determining where to put posters, pictures, and questions for reflection was very much a work based on intuition. Inge’s rebuild next to the original. So, what’s the point of all this? Well, I intend to use the maze in a class on Thursday, 5th of January. 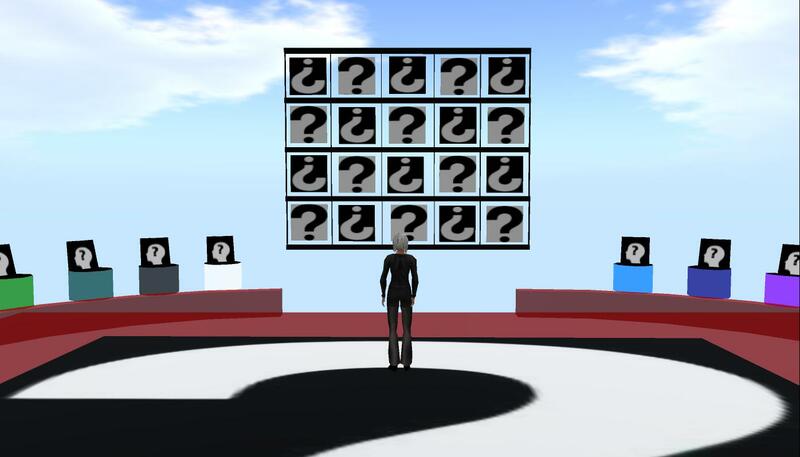 In this class the theme is Identity, and we will focus on the students’ impressions of being avatars, and what this means in relation to learning. On our regular classroom platform, I’ve set up a couple of slides that focus on some theoretical issues (based on the course literature). After this short introduction, we’ll walk-and-talk in the maze. Back on the platform, I’ve created a 20-question-board. 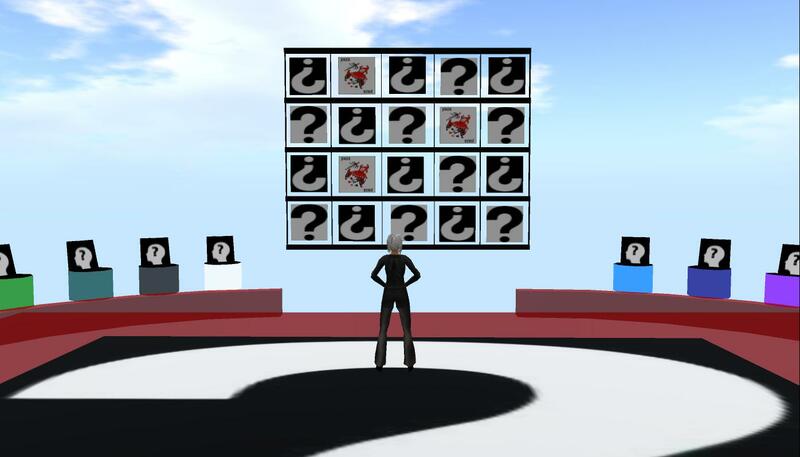 For now, when you click on the question marks, you’ll see a Joker, but on Thursday, 17 of the Jokers will be replaced with relevant questions (there are 17 students). If the student chooses what turns out to be one of the remaining three Jokers, the student can talk about anything in relation to the theme, otherwise there’ll be a tricky predefined question.